BNEF report says Australia on track to become biggest, “most attractive” home battery market in world in 2019, thanks to state government subsidies and huge rooftop solar uptake. The report, published on Wednesday, predicts more than 70,000 Australian households will install batteries this year – driven by $147 million in state government subsidies and other incentives, as well as low-interest loans and demand response schemes. BNEF says the progressive state schemes led by governments in South Australia, the ACT and Victoria, are “solidifying” Australia’s residential energy storage market as one of the largest and most promising in the world. Add to that the policy promise of Bill Shorten’s Labor opposition, which – if it wins the federal election slated for May this year – will add a further $A200 million to subsidies for another 100,000 household batteries from 2020. And the policy is proving hugely popular: the Adelaide Advertiser reports today that 600 SA homes have so far been approved to install batteries through that state Coalition government’s scheme. 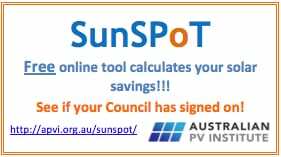 Victoria, meanwhile, looks set to follow suit, as thousands of households taking up the Labor Andrews government’s Solar Homes rebate grow the pool of homes that will be primed for the state’s coming battery offer. But growth in the market won’t always be all about the subsidies, Bloomberg NEF notes, in the report, titled Australia Residential Storage to Triple, Despite High Cost. “While the path could be bumpy, BNEF expects Australia to continue to be an attractive market for residential storage after policy support ends – thanks to its high penetration of household solar (already one in five) and high electricity costs,” it says. So far this summer – and it’s been a scorcher – AEMO has managed to avoid any of its emergency measures to keep lights and air-conditioners running. As UNSW’s Naomi Stringer explained here this week, Australia’s 2 million rooftop solar systems are already demonstrating how they can be of important use the broader grid in times of trouble or tight supply. “Inverters can provide fast and controlled response to events, meaning there is potential for distributed PV to aid with power system security into the future,” Stringer writes. “This scheme will benefit all South Australians,” SA Dan van Holst Pellekaan told the Advertiser on Thursday.